Android has an abundance of supported third-party apps with a wide range of applications. Then there are Free Apps and Paid Apps. Free Apps are good and all but Paid Apps are on whole different level with their “Premium” features. We all wanted to buy those Premium versions of our favorite apps but come on, we can’t buy all those apps. So today I am going to share five best applications which will help you to get those “Premium version” of your favorite apps free of cost. I am clearing the fact that this article is not about using any illegal methods but to still get what we wanted. This app has downloads with more than a million downloads and rating of 4.3 on Google Play store. It notifies you every time when an app goes on sale (free basically) and that list updates every single day. So whatever goes on sale on App stores, you get to know first. This is the most awesome way to get those premium apps for free. Downloading this app and you will not regret the space it takes (it takes 873 KB literally). This Android application also works in a similar way as that of PAGF but it has that special search algorithm which plays a vital role in updating daily catalogs. The catalogs have a list of apps that have gone free or discounted recently in order to save some precious bucks. This application has surprisingly more than 7 million downloads and has a rating of 3.9 on the Google Play store. Amazon Underground is a nice and cozy alternative for google play store. This application has a decent UI with lots of categories which felt like a distraction for a time. As it is “Amazon”, it will also show you nice local deals with apps. The main feature is that all the applications which are paid on Google Play store are free on Amazon Underground. This Amazon Underground application is difficult to find as it is not present on Google Pay store but don’t worry I will leave a link below for you guys to download. Playstoresales is the website which gives you real-time status of the apps. The funny thing is most of the people doesn’t know this one and they use some third-party applications like the ones I told you about in the first half of article. This site is official one and updates the first in all the websites so you get the notification way before than others. So bookmark this site page and look out for your favorite apps to go on sale. 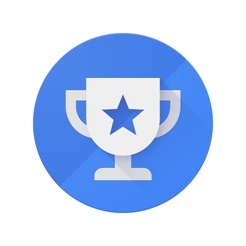 Google opinion reward is the google android application which brings you surveys very often. The best part about it is the rewards, you heard it right. It pays you for the survey. You get the payment in the google play store wallet. If you give enough surveys, you can buy paid apps using that money. So indirectly that app will cost you nothing. Like the articles, share it and if you know any other ways then definitely mention those in the comment section. We would be glad to add those in our article. Bonus app: Appsales is another great app and a site for the best deals do check it out..!! and how to use cheatdroid..! !